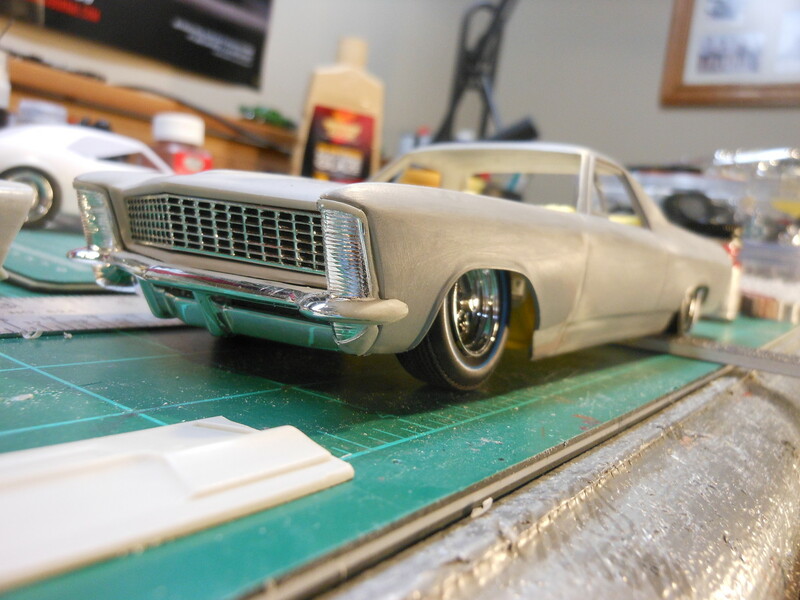 Progress on the El Rivera. 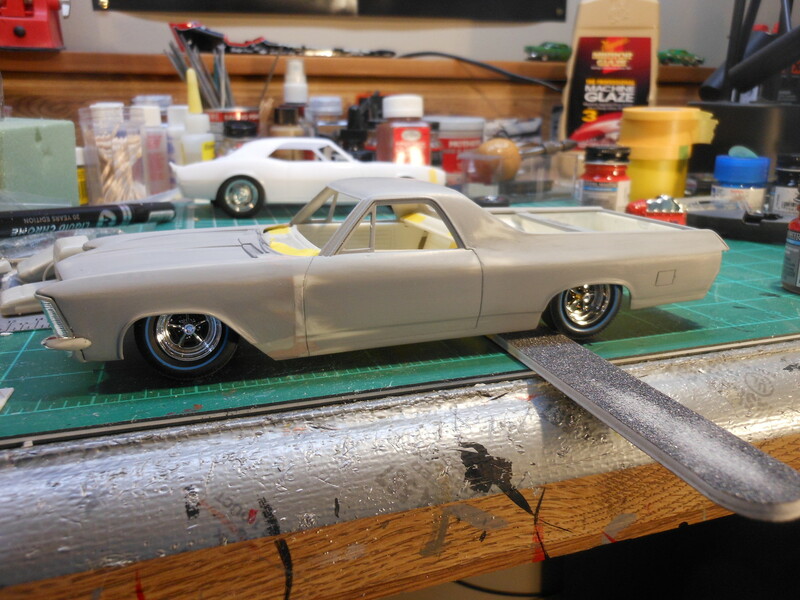 I switched to Blue walls something different from the new reissue AMT 69 Chevelle. 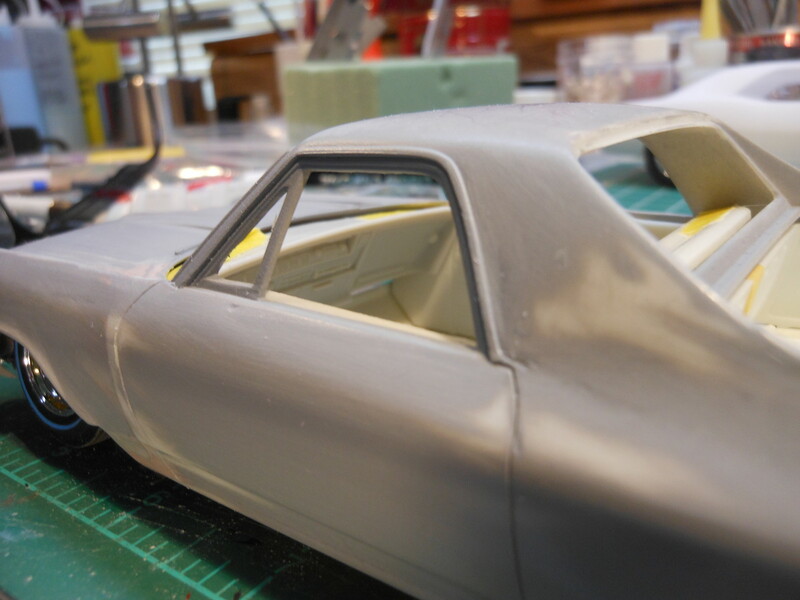 Body work is mostly finished. 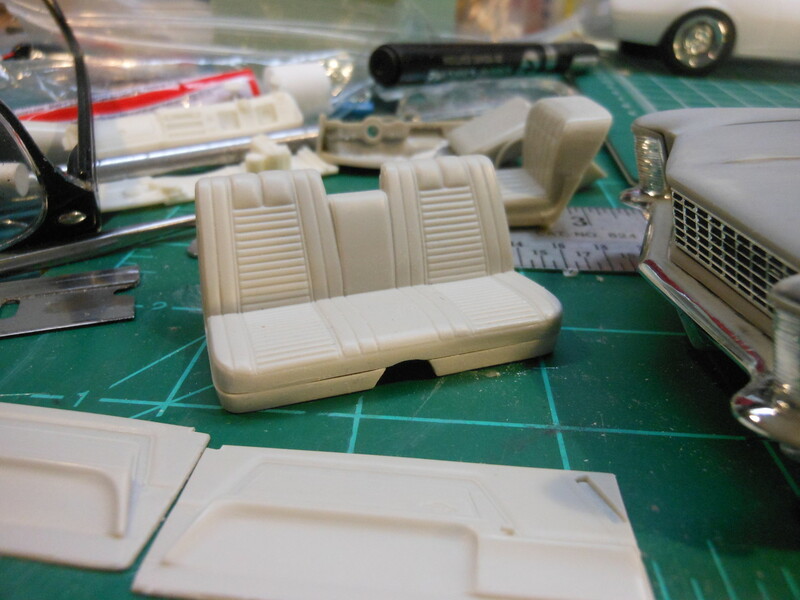 I am going with the AMT 66 Rivera dash, Bench seat, windshield and door panels. 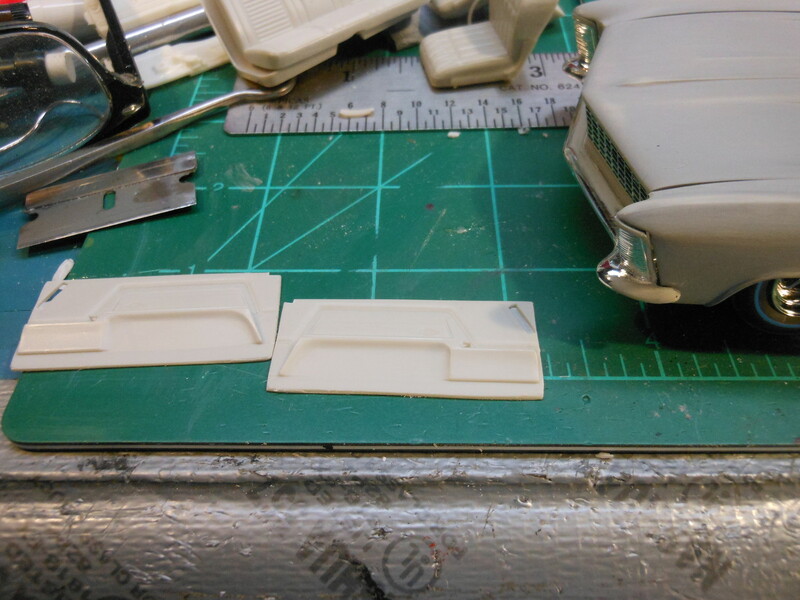 I shaved down smooth the El Camino door panels and shaved the backs off the 66 Rivera door panels. Will be grafting them together. 65 Rivera steering wheel because it looks better. I had mixed 66 Rivera silver which has a green cast to it. (It was a Rivera only color) with maybe medium blue interior or Black with red guts. 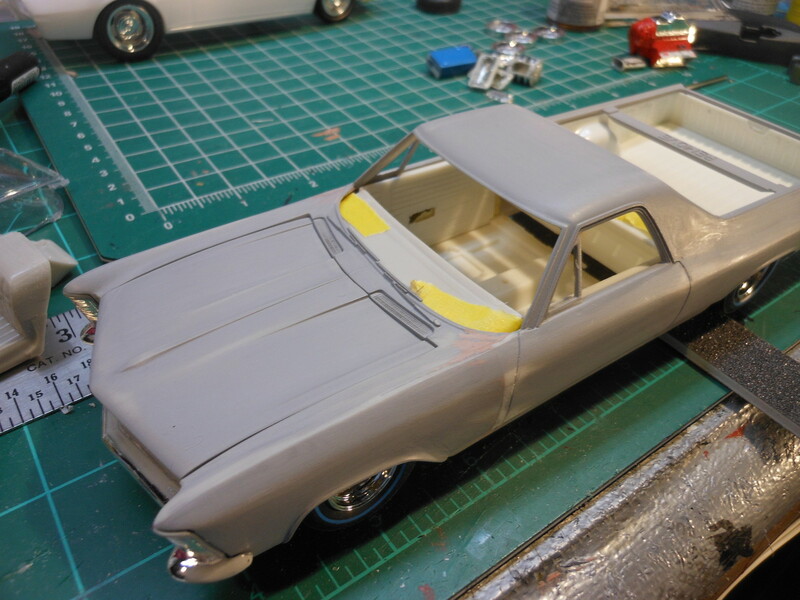 Not sure yet once I paint the body I will see which way the interior will go. This will be a curbside only no motor I think may put a motor in it. It will be the nailhead from the 66 with 2 fours since this will be a El Rivera GS version. 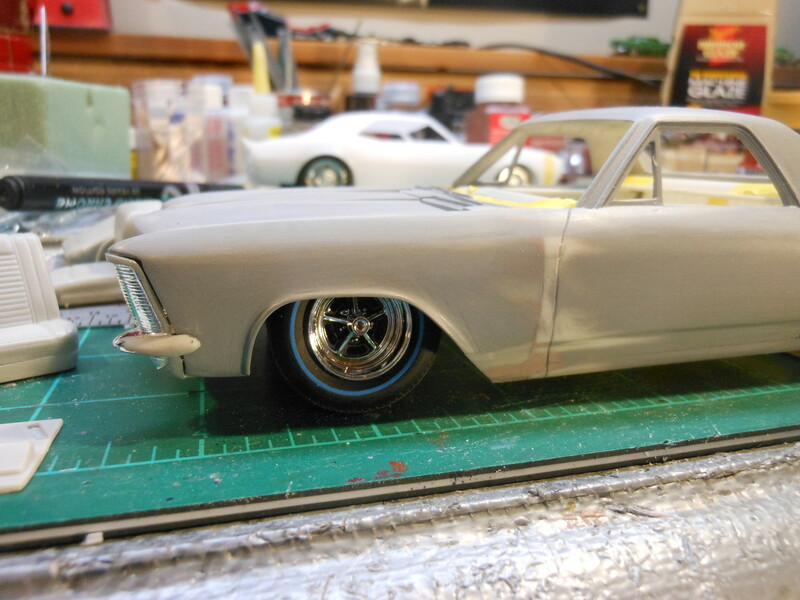 Also thinking about painting the bottom portion of the bumper body color to thin down the bumper.